Laser Lift Off (LLO) refers to a process where thin layers are separated from a substrate, such as polymers from glass, by use of a homogenized UV wavelength laser beam. The main requirement for successful LLO is that the substrate be transparent to the working wavelength, and the target layer be opaque. During processing of the sample, the beam is directed towards the target layer, passing through the transparent support (e.g. sapphire, glass) and creates a plasma at the interface that allows for clean “debonding” of both materials from each other. 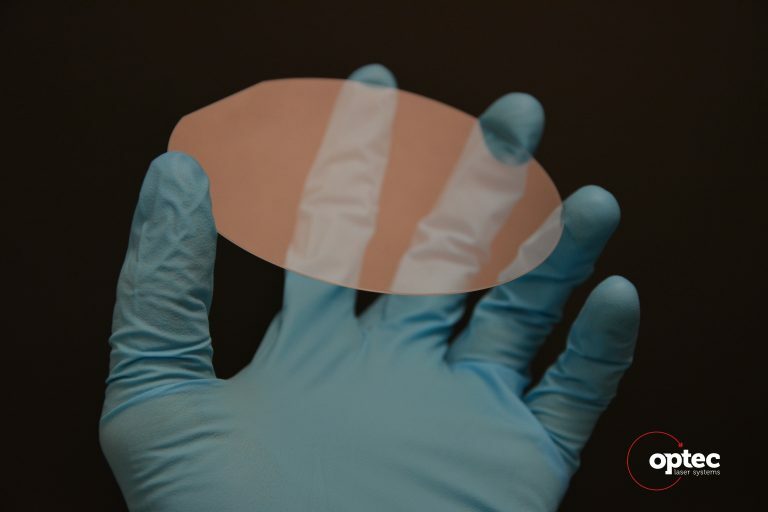 The transparent substrate serves as a carrier, allowing easy and safe manipulation of the relatively fragile target layer to fabricate thin and complex structures, such as those used in OLED displays. Careful consideration must be taken to avoid overheating the sample, and degrading the quality of the product. This fact, combined with the relatively low energy threshold required to successfully create the plasma makes excimer lasers perfect candidates for this technique. Indeed, their large homogenized flat top beams, short pulses and low repetition rates guarantee a uniform treatment of the surface whilst avoiding significant temperature gradients.